I bet you like travelling as much as we do to come to this post. Who doesn’t want to travel anyway! Getting away from the routine, filling your empty book of places experiences, discovering new cultures and monuments or just trying to have fun on a new place, the travelling serves more than just these purposes. WordPress travelling blogs, travelling bookings and other travel hotel themes are very popular, due to the development of this sector in our life. We did a review on the best Vacation Homes, Travel Booking and Hotels Themes, you can see it here. But today we are reviewing the All about travel Themes, especially the personal blogs dedicated to travel so it is a more creative and individual side of traveling experiences showcase. Enjoy! Bellevue is just one of few themes on this list that focuses on a somewhat various aspect of the traveling market: traveling, booking agencies and portals. It is established for resorts, motels, bed and breakfast as well as accommodation planning like Vacation Rentals, Houses, Apartments, Areas for Rental fee and also a lot more. This theme is packed with loads of Visual Composer page builder elements that you could utilize in any kind of page or somewhere else on your site. Some Features/Plugins : booking system, great support, Woocommerce, parallax, WPML, layered photoshop files, conversion form ready, animations, parallax support. The Simple is an incredibly gorgeous, exceptionally visually stunning as well as unique, fine-tuned and also sophisticated, graphically polished and also advanced, highly powerful responsive innovative theme, a specifically made theme consisting actually on 30+ pre made demos, to fullfill any king of special website vizualization. It features 6 pre created blog demos, for every purpose, each one with an incredible innovative design for blog formats. Just imagine coming back home from your trip and using this demo to showcase your best memories on a fullscreen blog! 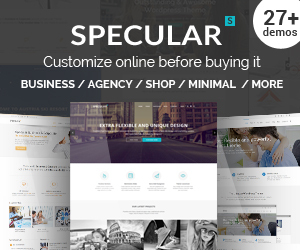 Some Features/Plugins : best selling blog theme on market, woocommerce, mailchimp, strategic social media, easy branding, live customizer, typekit, sleek design, SEO, top notch support, custom widgets, smooth navigation, off canvas menu, post format support. Jevelin is an aesthetically vibrant and meaningful, significant and also intriguing, attractive and also luring, cosmetically clean and also minimalist, refined and also gracious, smooth and also liquid, highly verbalize and also modern multi-purpose website theme. The theme could be utilized by professional photographers, developers, freelancers, companies, or anyone food craving a distinct blog/website style that stands apart. It has integrated a detailed paperwork source that offers to explain every attribute in detail. This demo is all about the nature and travel sharing experiences. Primarily, you go explore! Than you can use Traveloque theme to take care of any kind of holiday company page or travel blog. HTML5 abilities maintain your internet site vibrant and contemporary, solitary as well as multipage options are easily offered, retina ready graphics and also symbols are prepackaged for included worth. Its understandable theme options panel offers you absolute control over customization of your theme from its shades, font styles to visual layout. Its structure is based on full screen galleries and posts and it is very inovative. Some Features/Plugins : elegant design, fully responsive, CCS3, font awesome, layered PSD, great support, innovative structure, SEO. This theme would be a perfect fit for travel, nature photographers and any person adventurous. Love Travel is an awesome, aesthetically created travel theme, loved by many customers, because of the features and design diversity that offers. 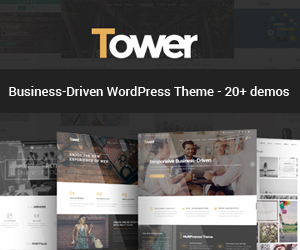 This theme may also be suitable for your creative agency. The theme has been designed using the 1200 px grid system with 12 columns. It provides you limitless color alternatives, smooth scrolling effect and even more. Some Features/Plugins : parallax, animations, isotope filter, jquery user interface, WPML, shop pages, search travel filter, rain effect, grid system, shortcodes, SEO. Travel theme is another superb WordPress theme for travel as well as hotel organisation. You’ll locate both extremely irregular layout elements and strong structure in the home page style. It is fully responsive, it has easy-to-use shortcodes as well as constructed in page layouts that can by related to produce individual pages, galleries, contact web page, site maps, blog feeds and also a lot more. There is no specific expertise required, as well as pages could be produced extremely easily. Some Features/Plugins : SEO, kind support, sidebar generator, custom rating symbols, featured destinations, destination categories, destination child pages, travel destionation plugin. Travelista is a minimal pure blog theme for any traveler out there. Its major function is for solution organisation but can be more increased right into personal travel blog, portfolio website or resort site. You can also integrate Google Maps on your web page, helping clients to situate your place. It has a minimalist, clean design as well as a format that is completely responsive. Some Features/Plugins : author page, 9 posts formats, unlimited colors, ads, WPML, RTl, smooth scroll, features posts slider, advanced typography, related posts, author box. The lovely Hermes is grid-masonry style blog WordPress theme that responsively re-sizes to fit your browser or smart phone. The theme is really colorful and also can be utilized for Internet Agency, Travel Blog, Music etc. It is a smooth, fashionable and also receptive WordPress travel theme that can to contend against first price costs WordPress themes. It expresses an elegance that perfectly matches the needs of Photography internet sites, personal blog sites as well as publications. Could also be set up to function with a variety of maps that share the exact same websites space. Some Features/Plugins : map listing, related trip types, pull quote, light box, show post title, related galleries, gmap, animations, ads, submit listing, reviews, tiled galleries, mailchimp, many blog layouts. Voyager is a modern and unique blog wordpress theme, created mainly for your personal blog to be represented in the best way possible and share the impressions, news, videos and much more.This theme offers you 11 blog designs and unrestricted blog choices to assist you sharing your proficiency in your area. The code is streamlined and also clean, as well as a contact kind is incorporated. Voyager is a beautiful as well as effective theme that has been developed as an all-inclusive, all-encompassing one-stop store remedy for web sites big and also small, rate of interests as well as areas, with strong functions and plugins that are easily adaptable to your every visual or useful need. There is likewise complete assistance for the WooCommerce plugin, for those that intend to market products online, while the collection of shortcodes make it simple to add interesting elements to your post and page material. 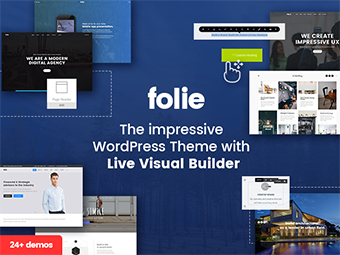 Some Features/Plugins : 7 headers style, 5 sliders style, 3 instagram style and 5 demo site style, fully responsive design, unlimited colors, it offers an one click demo install, an extensive documentation, subscribe form in popup. Your Journey is an innovative WordPress theme especially for traveler photographers, artist, blog owners that intend to display their things in kind of galleries, posts, sound as well as videos. Although it aims to provide towards travel blog sites, it could likewise confirm helpful for guiding you into tours or trips all over the world. It is a smooth, stylish and also responsive WordPress travel theme that could to compete versus initial price costs WordPress themes. Some Features/Plugins : grid rotator, listing, WPML, shortcodes, vimeo gallery, widgets, mailchimp, banner, tips carousel, music post formats, related posts, author post, featured slider, rerated posts, next and prev posts. Some Features/Plugins: WPML, clean design, unique price table management, easy portfolio menagement, powerful admin panel, aming the 3 best selling multipurpose themes of all times, power elite author. Really feel cool and certain regarding your new blog, and also, check out the Journey blogging WordPress theme. It has been developed with the needs of blogs as well as bloggers at large in mind, while concurrently, focusing on the aesthetical presentation of the photos, producing a theme that is both instinctive and also very easy to interface and personalized, Unrestricted sidebar combinations and also organizations individualize your site past creativity. It features a simple design, modular and versatile layout that go well with travel web sites. While this theme has clean and simple design it loads dozens of advanced functions like nothing else theme. Some Features/Plugins : disqus comments, 11 blog layouts, WPML, video background, advanced search, clean and minimal, twitter bootstrap, parallax, SEO, header parallax, banner adv, social widget, child theme, mailchimp, isotope, owl carousel, modernizr libraries, personalized copyright.